Will my loved one live? In what ways will he be impaired or disabled? How much of his normal functioning will he recover? What kind of medical treatment will his brain injury require? For how long? What medical equipment will we need to buy? To help him, what will we need to change in our routines? In our home? Will we need to hire a drop-in nurse or other extra caregiver? How do we even find one? Who’s going to watch the kids? How do we even tell our kids? His parents? How will we replace his income? How are we going to pay for all of this? How long do we have before we take him home? David Azizi understands what you’re going through. He knows you have many questions. If your loved one’s accident was due to someone else’s negligence, we can answer the questions you may have about what needs to be done. The burden of worrying about about paying bills during this difficult time is something you do not need to face alone. 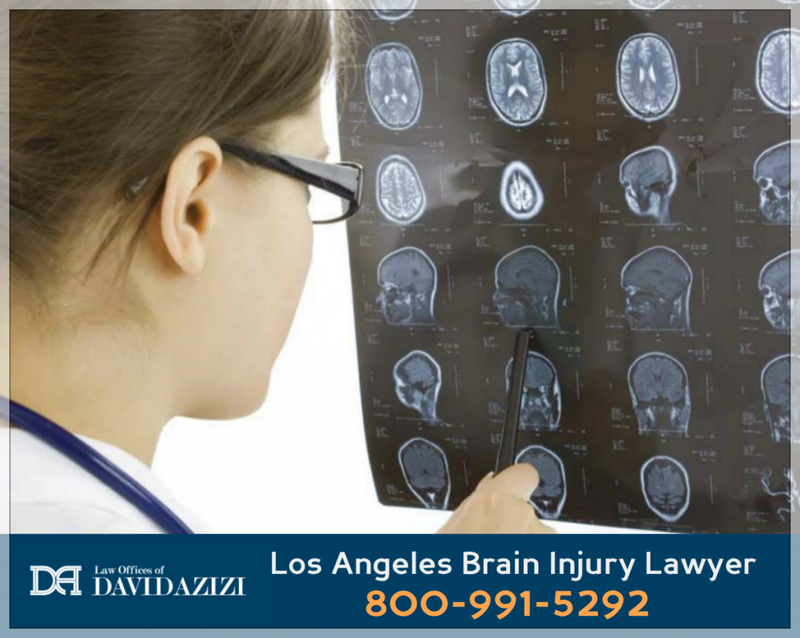 That’s because David, one of the most experienced and effective brain injury attorneys in the Los Angeles area, can help. He has, with an outstanding 98-percent success rate, handled lawsuits for these kinds of injuries for 21 years. He is rated “Superb” by the large legal services company Avvo, and Expertise.com lists him as one of the Top 20 Personal Injury Lawyers in Los Angeles. Most recently, the prestigious Super Lawyers organization honored him for the sixth time as one of Southern California’s best. David is also a genuinely compassionate brain injury lawsuit specialist. As a married father of three young children, he can definitely sympathize with clients as they face family crises. He also gives his cell phone number to each client because he knows that questions will come up. Further, he promises that if somehow he doesn’t win a case, that client doesn’t owe him a penny. So if your loved one’s injuries are a result of another party’s recklessness or carelessness, David can and will help you to recover the maximum amount that he or she deserves. Any time of day and any day of the week, 24/7, you can call us at 800-991-5292, and we will quickly connect you with him for a free consultation about your particular situation. According to the Mayo Clinic, a traumatic brain injury “occurs when an external mechanical force causes brain dysfunction,” typically from a “violent blow or jolt to the head or body.” According to the Centers for Disease Control and Prevention, about 1.5 million Americans suffer some kind of TBI every year, with nearly one fifth of them experiencing a long-term TBI. 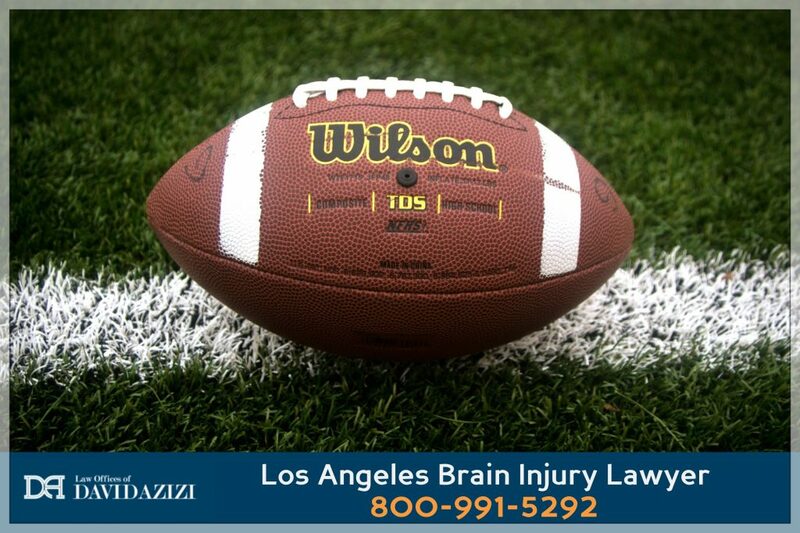 Helping a High School Football Player Recover $6.3 Million (Brain Injury Case)In this case, a high school football player suffered a severe brain injury. David talks about the school district's negligence and how he was able to recover a $6.3 million settlement for the young man. The circumstances of each case are unique, and settlement amounts vary accordingly. Contact the Law Offices of David Azizi to discuss the particular details of your situation. We are available 24/7 for a free consultation at 1-800-991-5292 or via live chat on our website at https://www.azizilawfirm.com. Helping a Truck Accident Victim Recover $4.95 Million (Brain Injury Case)David's client in this case was driving an SUV, which was hit from behind by a big rig truck. In turn, the SUV then hit the big rig in front of it, crushing the SUV between the two 18-wheelers. The client suffered a brain injury that affected many areas of his life, but David was able to win substantial financial compensation to cover his expenses, both past and future. The circumstances of each case are unique, and settlement amounts vary accordingly. Contact the Law Offices of David Azizi to discuss the particular details of your situation. We are available 24/7 for a free consultation at 1-800-991-5292 or via live chat on our website at https://www.azizilawfirm.com. 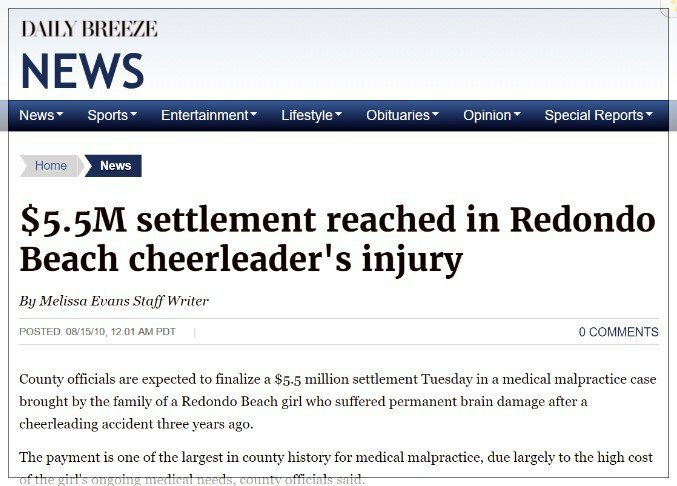 Perhaps David’s most high-profile work as a brain injury lawyer involved a 12-year-old cheerleader who was very seriously hurt several years ago. 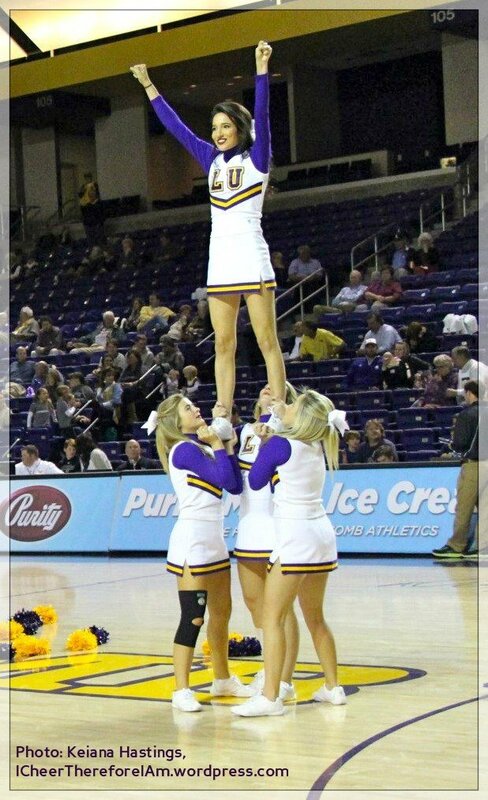 The group was practicing a cheerleading move called a half extension (see generic illustration below), and she was the “flyer” in the formation, with three spotters below her. One of the back spotter’s roles was to prevent the “flyer” from falling. However, the back spotter was in the wrong position, and David’s client fell backward, hitting her head on the hard artificial surface. Eventually, she was found to have suffered massive and permanent brain injuries, resulting in a significant intellectual disability and physical paralysis. David brought legal action on behalf of his client, arguing that the youth cheer association that organized the activity was negligent and provided inadequate supervision. He contended that the volunteer coach, one of the association’s parent members, had not been given the proper training, nor had she been educated as to cheerleading best practices and safety standards. This case was prominent in the news media and gave David the opportunity to work as a brain injury attorney with nationally-known youth sport and cheer safety advocate Kimberly Archie, who testified as an expert witness on behalf of his client. Though the situation was tragic and heartbreaking, we are glad to report that David won a substantial settlement for the injured girl. She went on to graduate from high school and, eight years after the accident, began to walk again. What Are Causes of Traumatic Brain Injury (TBI)? Serious TBIs often cause long-term and even permanent brain damage. Sometimes, they are fatal. There are also injuries known as mild traumatic brain injuries, or mild TBIs. These tend to involve only a “temporary dysfunction of brain cells,” in the words of the Mayo Clinic. Concussions, whether suffered in sports or accidents, often are mild TBIs. However, it is now well documented that both concussions and repeated minor blows to the head, sometimes referred to as “sub-concussive hits” because they do not cause a concussion, can lead to something much worse. Increasingly recognized in contact sport athletes like football players and boxers, Chronic Traumatic Encephalopathy, or CTE, is a very serious degenerative disease that is the subject of the 2015 Will Smith film Concussion. Over time, what begins as disorientation and memory problems becomes erratic behavior, dementia and suicidal ideation. If you or someone you care about has experienced a TBI, whether serious or mild, and if you believe your injury may be the result of someone else’s negligence, we urge you to contact us as soon as possible. Again, we will connect you quickly with David for your free consultation. As we’ve seen above, David is an experienced, compassionate and highly successful brain injury attorney. Since 1998, he has helped clients in very significant ways, and he stands ready to help you, too. Call us 24/7 at 800-991-5292.